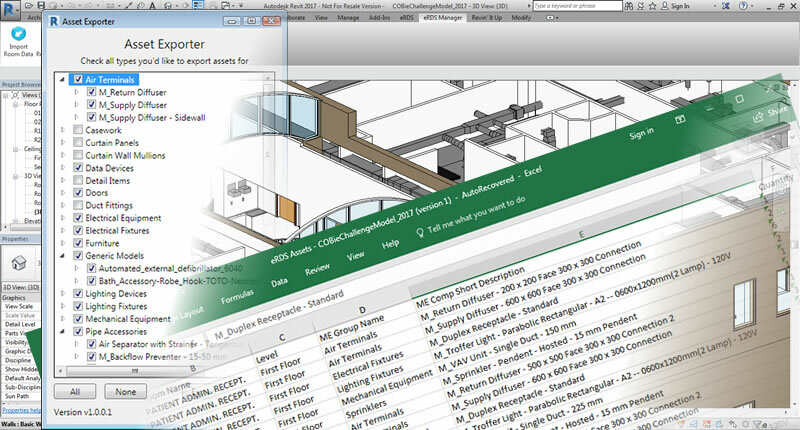 Identify maintainable assets from Revit Architectural & MEP models to populate room data sheets. 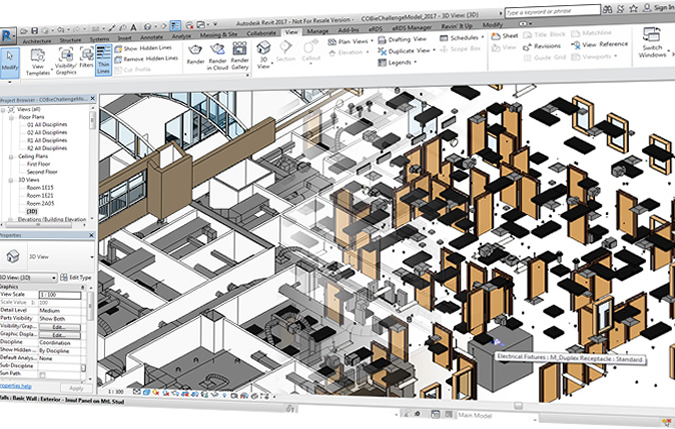 ROOM DATA CAN BE A COMBINATION OF BIM OBJECTS AND ASSETS DEFINED AS INFORMATION ONLY. When creating room data on projects using BIM, some of the information will come from the model, whilst other parts will be created as information only. For example, a BIM might include lighting fittings, but not the switches, power sockets, fused spurs etc. that will also be fitted into the room. 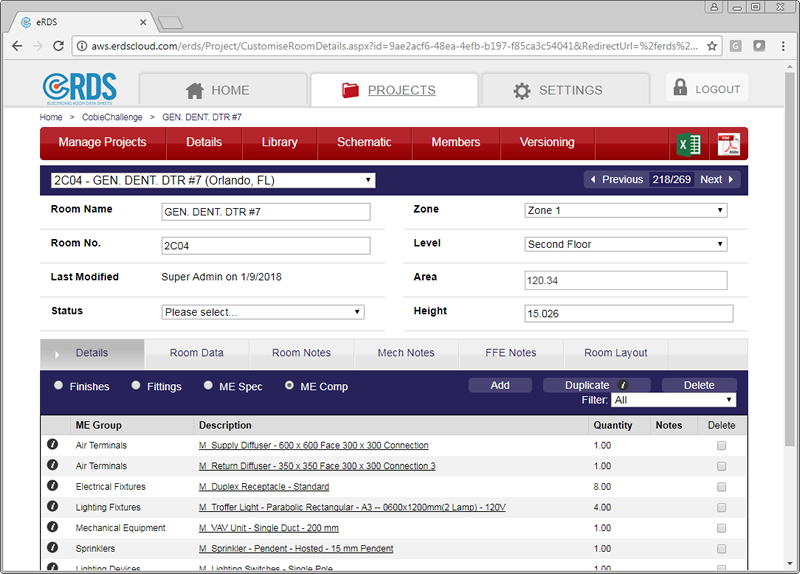 eRDS is designed to handle this scenario and build up room information from both sources. 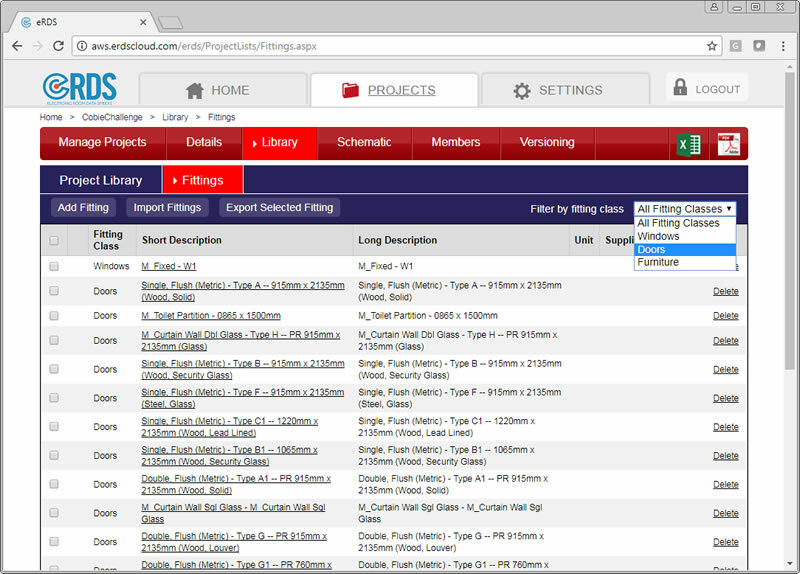 The eRDS Asset Manager provides the tools to identify maintainable assets in the model that should be included in the room data sheets. This includes any objects requiring special attention during installation & commissioning, or periodic inspections during operations, and they can appear on both architectural and MEP models. 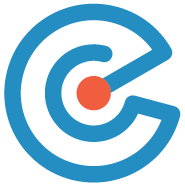 Designers use the plugin to identify the families of interest through a series of check boxes and can drill down to include or disclude certain objects as required. The resulting selection is exported together with their room locations to an excel file which is imported into eRDS Cloud. During the process eRDS will analyse the file and auto-create components in its Library before applying the assets to the specified rooms. Users can choose to have the components listed individually in a room (allowing unique asset codes, serial numbers etc. to be recorded), or have them grouped together as totals. eRDS will allocate the objects extracted from the model to the correct rooms with their quantities. Objects from Revit MEP are assigned to the rooms ME Components, whilst objects from the architectural model are listed under Fittings. 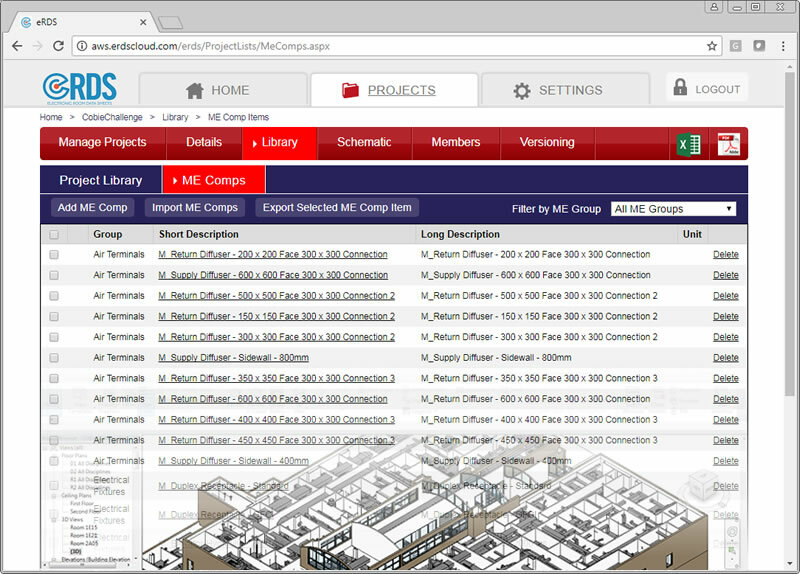 During the import process eRDS will assign MEP families to the ME Components Library and architectural objects to the Fittings Library. Objects are grouped as types such as ‘Air Terminals’ or ‘Lighting Fixtures’. 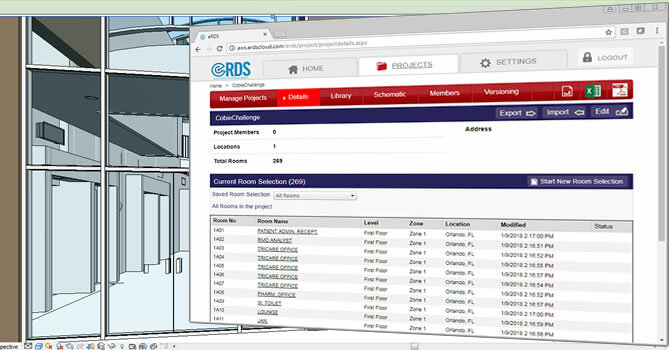 The plugin will identify and extract all doors, windows and any other ‘speciality equipment’ from Revit architectural models and import them into the eRDS Fittings Library. Doors are allocated to the room number they open into.